The Virgin of Grace of Aruba and Jesus our Friend and Savior have said many times that the true religion is that which has the Son and the Mother present, Jesus and Mary, two precious and inseparable Hearts: It is the Catholic Religion. Make time – all things of heaven take time – , as said by St. Pio of Pietrelcina, even though you’re tired of a day’s work, for prayer, make time for God and go to Church specially on Sundays – every Sunday, take communion and allow the Lord to cleanse you and live within you – give you strength for another week with new challenges and new inspirations. 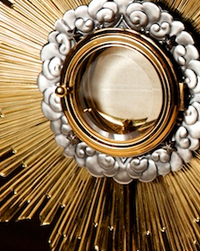 Take a very personal moment, just you and Him, in Adoration in front of the Holy Sacrament, and tell him about your love for Him and ask Him how He can help you. Take all the time that you need: adore, praise, bless, glorify Him for being so close to you, feel His warmth and let go of your pain and sorrow, your problems of everyday life and ask for strength to continue. 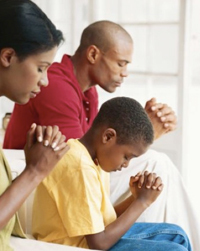 Focus on your family, teach your children the value of prayer, of giving thanks, of being humble, show them how to get closer to the Lord and how to take refuge in Him – pray with them, as you also pray, in the morning, when you’re all at the table, at night, before you all go to sleep. Spirituality is a blessing for every family! Teach your children and other people the important values of faith; Make time to read the Bible and persevere! Pray more. Join prayer groups; learn about the devotions of Saints and Angels, one of those devotions will surely touch you and speak to you. Take examples out of their lives and learn how to grow your love more and more. 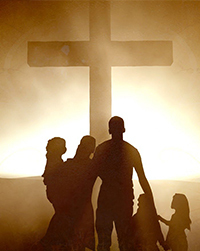 Do good deeds, help those in need – remember that Jesus is in everyone, He suffers with those who suffer, he looks for true love in your hearts. 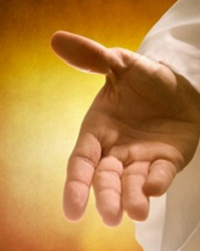 Embrace Lent and Easter as two powerful and significant times of faith in a year. Teach other people how to pray, visit people at the hospital and pray with them, visit the elderly, the abandoned and give them a breath of life and light with spiritual food: Prayers and the Word of God. Be a true Catholic, a true servant of God. 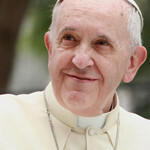 Keep your Catholic faith alive! In these difficult times ahead it is important to persevere with faith, with love and with mercy in life, it is important to become humble, yes! More humble! and to get closer to our Merciful Lord and Savior through His Blessed Mother. It is important to know the lives of Saints and Angels and let them help you in your spiritual journey. Have Complete Confidence and Trust in Jesus Christ (Divine Mercy), a complete surrender, will make way for blessings, graces, spiritual direction; they will create a sure path towards our Salvation.